In terms of direct influence, the impact of Austrian economics (AE) on strategic management is fairly limited (e.g., Jacobson, 1992; Young et al., 1996; Foss et al., 2008). 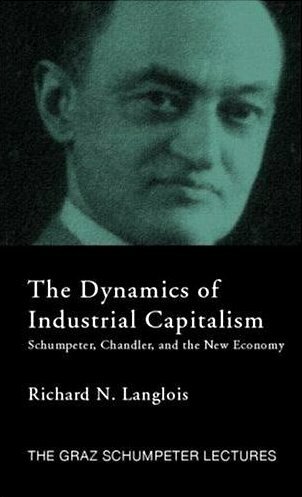 Different kinds of industrial economics, namely the SCP approach, the Chicago-UCLA school, and game theoretical industrial economics, have clearly been stronger influences. However, the points of contact and even overlap between the mainstream of strategic management and AE are many, and AE has the potential to contribute to the further development of the field. The Austrian tradition begins with Carl Menger (1871), who emphasized the process aspects of competition, subjectivity of economic value, marginal analysis, resource heterogeneity, distributed knowledge, the time-structure of production, and the entrepreneur. Menger also stressed that social science explanation must conform to methodological individualism, that is, phenomena on the social domain should be explained in terms of the actions and interactions of individuals, taking place within an institutional setting (in itself explainable in terms of individuals actions and interactions). In the 1880s and 1890s an Austrian school coalesced around Menger and his disciples, most notably Eugen von Böhm-Bawerk and Friedrich Wieser, that extended these Mengerian themes. Ludwig von Mises and Friedrich von Hayek would develop and extend the Austrian tradition in the early twentieth century (Hayek, 1948; Mises, 1949), with Israel Kirzner, Murray Rothbard, both Mises students, and Ludwig Lachmann, a Hayek student, making critical contributions in the 1950s, 1960s, and 1970s (e.g., Kirzner, 1973; Lachmann, 1977). Although the Austrian School is not homogenous (cf. Salerno, 1993), and Austrians differ, for example, in terms of how critical they are of “mainstream” economics, nevertheless modern Austrians share a number of distinct basic views. Thus, Austrians insist that more attention be devoted to market processes as distinct from (Walrasian or game theoretical) equilibria: they emphasize entrepreneurship as uncertainty-bearing, entrepreneurial appraisal and investment (Mises, 1949) or as alertness to hitherto unnoticed opportunities for pure profit (Kirzner, 1973); they are staunch methodological individualists; and they stress the essential heterogeneity of capital/resources, and the fundamental subjectivity of costs and expectations (Lachmann, 1977). AE has had some, albeit limited, direct influence on the evolution of strategic management, for example, on work on competitive dynamics (Young et al., 1996), entrepreneurial top-management teams (Foss et al. 2008), and the tangled links between rents and costs (Lippman and Rumelt, 2003). Nevertheless, there are very significant overlaps between AE and the core of strategic management thinking over the last two decades or so. For example, much of Mintzberg’s (e.g., 1991) critique of the planning approach in strategic management is based on a fundamentally Hayekian (Hayek, 1948) understanding of organizations as systems of dispersed knowledge in which centralized planning and resource allocation may be inefficient relative to bottom-up processes. Moreover, the foundations of strategy’s dominant resource-based view may be seen as closely related to AE. For example, the point that there must be a divergence between the (acquirer’s) estimate of resource value and the current price of resources for competitive advantage to exist (Barney, 1986) may be seen as an application of Austrian ideas on privately held information, entrepreneurial appraisal, and expectational disequilibrium (cf. also Denrell et al., 2003). The current strong emphasis on resource heterogeneity as underlying performance differences is closely related to the Austrian emphasis on heterogeneous, yet specific and complementary capital goods (Lachmann, 1977). Notions of “capabilities,” “competencies” etc. may be seen as firm-level manifestations of the kind of localized knowledge that Hayek (1948) in particular emphasized. 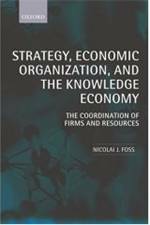 The emerging focus on new value creation (i.e., the emerging strategic entrepreneurship field), and the increased interest in the dynamics of strategy (e.g., Grimm et al., 1999) may also be seen as reflecting fundamentally Austrian themes. Thus, it could be argued that there in fact is an “Austrian school of strategy” (Jacobson, 1992). However, on closer inspection, Austrian ideas have only been imperfectly absorbed in current strategic management thinking. Thus, much strategy thinking has a streak of methodological holism; specifically, firm-level outcomes are explained in terms of collective notions such as “capabilities” with little or no reference to individuals and their interaction (cf. Abell et al., 2008). Much strategy thinking is still based on equilibrium models and is therefore primarily taken up with examining the conditions under which resources may yield rents in equilibrium. Although process issues are not absent from contemporary strategic management, the Austrian point that different men not only know different things, but also form different expectations, is not sufficiently addressed in thinking about the sources of new value creation, innovation, and competitive advantage (Foss et al., 2008). Thinking about resource heterogeneity is fundamentally ad hoc, whereas Austrian capital theory offers a foundation for such thinking (cf. Foss et al., 2007). Recognizing the imperfect overlap between strategic management and AE may, however, be taken as a call for more fully drawing on AE ideas in strategic management. Abell, Peter, Nicolai Foss, and Teppo Felin. 2008 “Building Microfoundations for the Routines, Capabilities and Performance Link,” Managerial and Decision Economics 29:489-502. Barney, J.B. 1986. Strategic Factor Markets: Expectations, Luck and Business Strategy. Management Science 32: 1231-1241. Denrell, Jerker, Christina Fang, and Sidney G. Winter. 2003. The Economics of Strategic Opportunity. Strategic Management Journal 24: 977-990. Foss, Kirsten, Nicolai J. Foss, Peter G. Klein, and Sandra Klein. 2007. “Heterogenous Capital and the Organization of Entrepreneurship,” Journal of Management Studies 44: 1165-1186. Foss, Nicolai J., Peter G Klein, Yasemin Kor and Joe Mahoney. 2008. “Entrepreneurship, Subjectivism, and the Resource-Based View: Towards a New Synthesis”,” Strategic Entrepreneurship Journal 2: 73-94. Grimm, Curtis, Hun Lee and Ken Smith, eds. 1999. Strategy as Action. Oxford: Oxford University Press. Hayek, Friedrich A. von. 1948. Individualism and Economic Order. Chicago: University of Chicago Press. Hunt, Shelby D. 2000. A General Theory of Competition. Thousand Oaks: Sage. Jacobson, Robert. 1992. The Austrian School of Strategy. Academy of Management Review 17: 782-807. Lachmann, Ludwig M. 1977. Capital, Expectations, and the Market Process. Kansas City: Sheed Andrews & McNeel. Lippman, Steven and Richard P. Rumelt. 2003. The Payments Perspective: Micro-Foundations of Resource Analysis. Strategic Management Journal 24: 903-927. Menger, Carl. 1871. Principles of Economics. New York: New York University Press. Mintzberg, Henry. 1991. Learning 1, Planning 0: Reply to Igor Ansoff. Strategic Management Journal 12: 463-466. Salerno, Joseph. 1993. Mises and Hayek Dehomogenized. Quarterly Journal of Austrian Economics 6: 113-146. Young, Greg, Ken G. Smith and Curtis M. Grimm. 1996. “Austrian” and Industrial Organization Perspectives on Firm-Level Competitive Activity and Performance. Organization Science 7: 243-254. Entry filed under: - Foss -, Austrian Economics, Strategic Management.